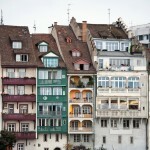 Home vacancy rates in Switzerland’s main cities have all risen over the last few years, bringing some hope to those looking for a place to live. The latest 2017 data confirm this trend. 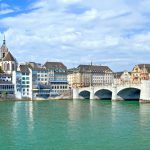 Over the last five years vacancy rates have risen by between 18% and 49% in the main cities of Zurich (+32%), Bern (+37%), Basel (18%), Lausanne (+49%) and Geneva (+38%). While these percentage shifts might appear big, very low vacancy rates underly them. On 1 June 2012, none of these cities had a vacancy rate above 1%. Zurich (0.29%), Bern (0.48%), Basel (0.13%), Lausanne (0.28%) and Geneva (0.21%) were all well below 1% vacancy rates. By 1 June 2017, Bern (1.29%) was above the 1% mark, Zurich (0.89%) and Basel (0.73%) were close to it, while Lausanne (0.57%) and Geneva (0.55%) only managed to break above 0.50%. Administratively, Switzerland breaks down into cantons, which then break down into communes (Gemeinde). This can lead to confusion, especially when it comes to Switzerland’s major urban centres. 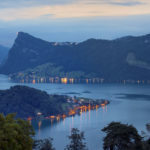 For example, the canton of Zurich contains two significant cites: Zurich and Winterthur. And there is the canton of Zurich and the commune of Zurich. Geneva is the same. In addition, sometimes areas are defined as cities. These definitions are a hotchpotch that cut across commune and cantonal definitions. Looking at more granular commune level data it is clear the home-finding challenge extends beyond Switzerland’s main centres and is even worse in most city centres. The interactive map below shows vacancy rates by commune at 1 June 2017. Those highlighted in red have vacancy rates under 0.5%. Click here to see the map on the Federal Statistical Office website. The map above shows even lower vacancy rates in most central city communes. In the commune of Zurich, the rate is 0.21%, in Lausanne it is 0.38%, in Basel it is 0.47% and in Bern it is 0.56%. Only central Geneva (0.57%) fares better than it does on a city-wide basis (0.55%). In addition, there are many communes in red within city commuting belts. Switzerland’s overall vacancy at 1 June 2017 was 1.47%.